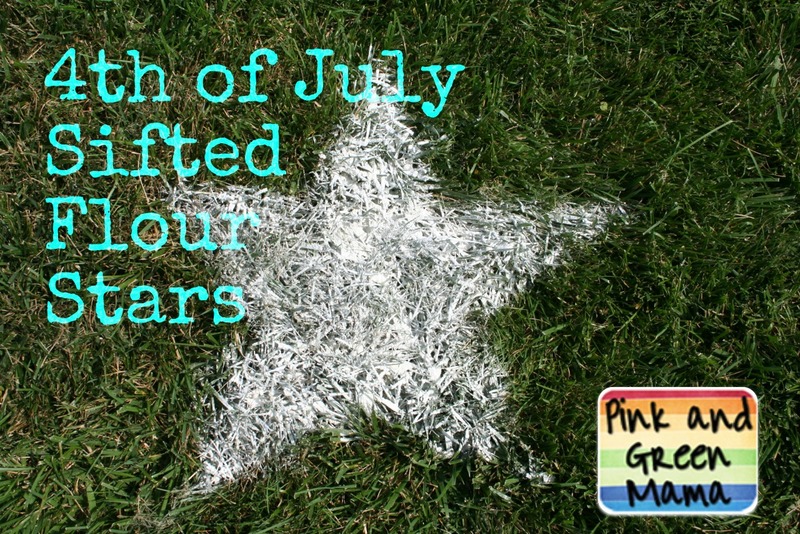 Pink and Green Mama: * 4th of July Sifted Flour Stars Front Lawn Decoration! 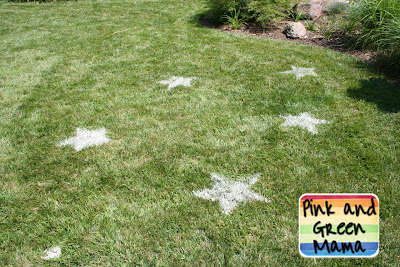 * 4th of July Sifted Flour Stars Front Lawn Decoration! 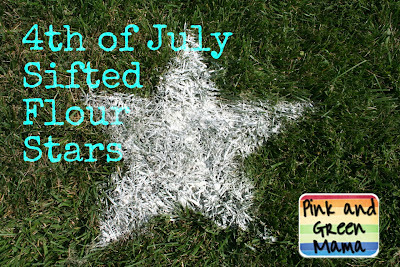 We make these sifted flour stars on our front lawn every 4th of July. maybe I'll remember to charge my camera battery this year. 1. 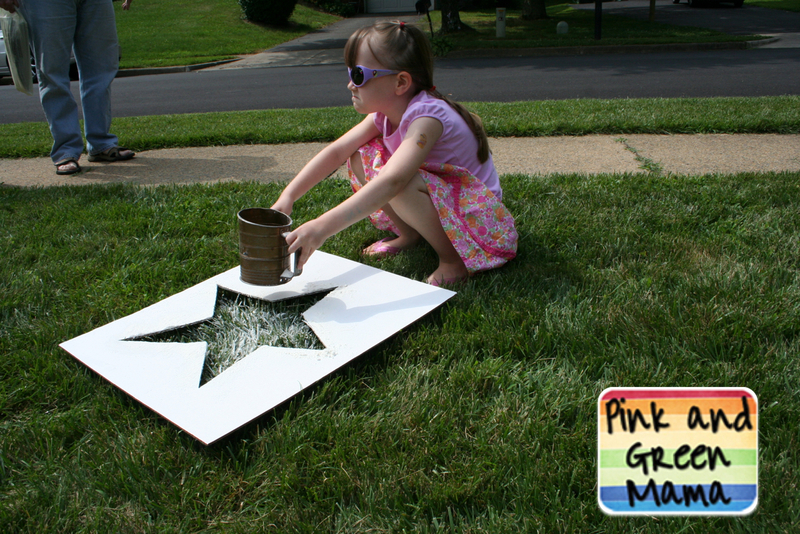 Start by cutting a template out of cardboard or a piece of poster board. Last year we used a pizza box. but I guess you could draw the star first with a pen then cut it out. HINT: The edges of the box help to keep the flour contained and off the rest of the grass! 2. 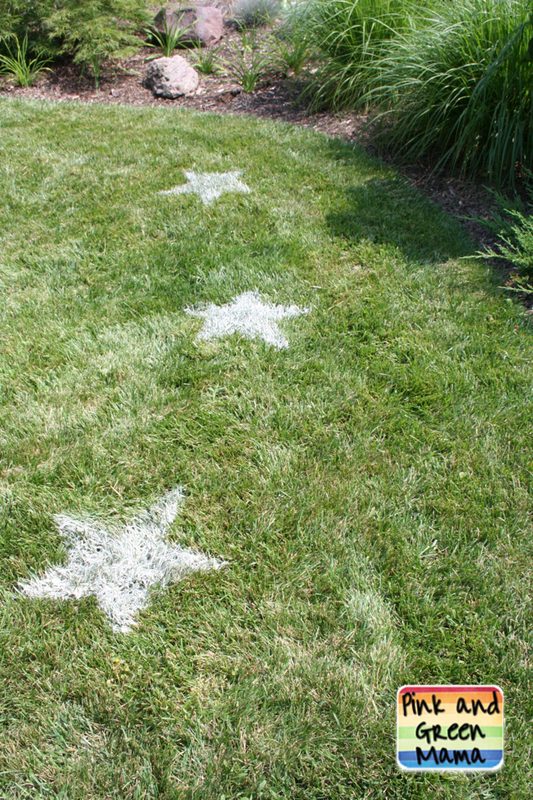 Lay the star stencil out on the grass. 3. 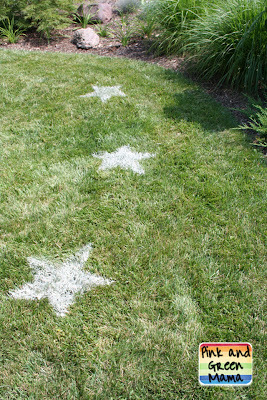 Spray the stencil with water. 4. 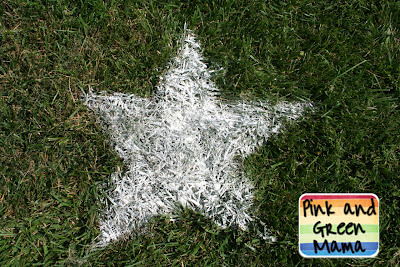 Sift flour over the damp grass. 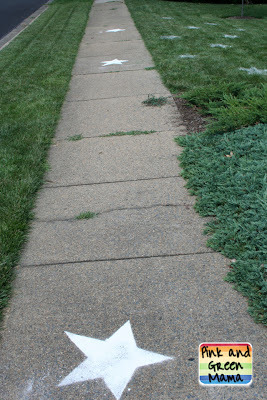 Remove the stencil/template and viola! Stars! Works like a charm on the sidewalk and driveway too! 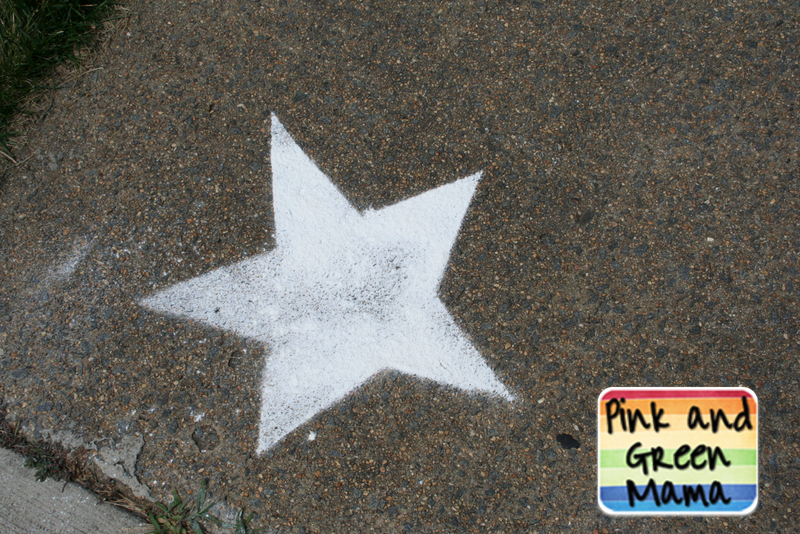 If it doesn't rain, the sidewalk stars last for about a week. 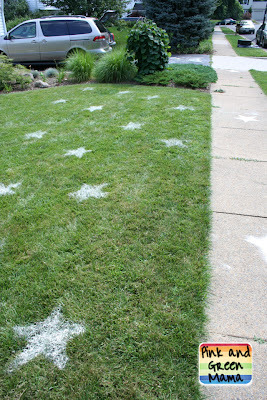 Our star spangled front yard and sidewalk! * Camp Sunny Patch Icy Pirate Boats Project!